We have struck a balance between not too big and not too small, which means we have a great variety of work, but you don’t just become a number. We truly care about each and every one of our nurses, and it’s our mission to help them thrive in a rewarding nursing career. We value all of our nurses and the contribution they make to making our agency great and providing fantastic care. The range of work we can offer varies greatly in scope and location. We have an increasing demand for nurses and would love you to be part of our team. If you want choice and flexibility in your career, we are the agency to call. 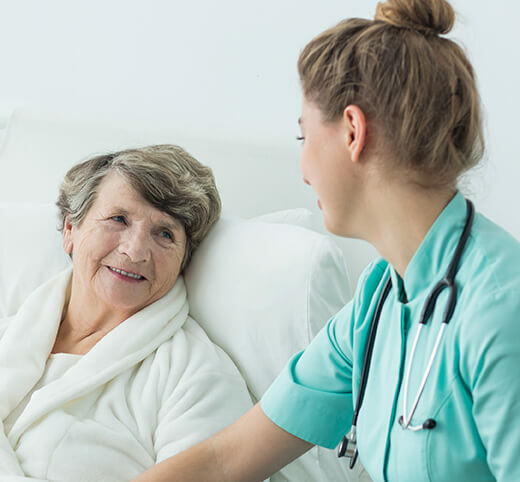 Ontime Healthcare began by providing staffing solutions to rural and remote areas throughout Victoria to hospitals and nursing homes. This is where we started, so we know the ins and outs of working in rural and remote areas. During this time, we have developed invaluable relationships with rural and remote clients, allowing us to offer our nurses jobs that aren’t available elsewhere. Rural and remote nursing work enables you to see some of the country, while adding valuable clinical experience to your skill set. We welcome thousands of visitors to our shores every year. Whether it be for business or pleasure, we can help you experience this wonderful country and get you started in a job that suits your lifestyle needs and plans. To work as a nurse in Australia, you must register with the Australian Health Practitioner Regulation Agency (AHPRA). Call us and let us let us help you with registration! Travelling in Melbourne is a breeze. Trams, buses, trains and taxis operate extensively throughout Melbourne seven days a week. Train, tram and bus timetables and ticket information are available on the Public Transport Victoria (PTV) website. We love our nurses and we are fully dedicated to helping them thrive in their careers and strike a balance between work and life. I cannot recommend Ontime Healthcare enough! I have consistently received a high level of support and customer service from the agency’s professional staff. It offers me the flexibility to balance work and family while giving me variety to maintain my skill set. I have a really great boss. Since commencing with Ontime Healthcare over 2 years ago I have enjoyed every minute of it. I love the flexibility and wouldn’t want to work anywhere else. The staff are very pleasant and professional. Please upload your resume to complete your application.